Freya was but one of her father’s seven noble-born children, and with so much noble blood around it was all but inevitable it would come spurting out. The sole sister among a brood of brothers, Freya refused every suitor brought to her and took to the sea instead. She would raid, like her father before her, and came to be known by the bright red sail of her flagship. If you saw that sail, you knew that death was coming in with the tide. While Freya went a Viking, her brothers smiled at each other across the table but plotted behind close doors. It seemed that every time she returned, another brother had met with an unfortunate accident, a hunting arrow gone astray, a fall from a horse, accidentally falling on one’s one sword several times in a row. When Freya left her on her last raiding season before the seas froze over, only two brothers remained. The oldest and the youngest, and she hoped that when she returned, the surviving brother would be greeting her with open arms and not waiting weapons. When she finally returned, she found herself greeted not by a brother, but by a father, still defiantly clinging to life. He had grim news, both brothers had met with another unfortunate accident. The clan would need a strong leader for the dark times ahead, he told her. A storied warrior with a reputation to be feared. Now you know Freya’s story, let’s see how she plays! Gain 1 glory when Freya successfully raids. Gain 1 glory for each opposing Viking that is slain in a battle with Freya. Cleave – 2 glory. You may reroll up to 4 of your Vikings. If an opponent’s shield blocks one of your double axe results, the Viking with the shield result is slain after combat is resolved. 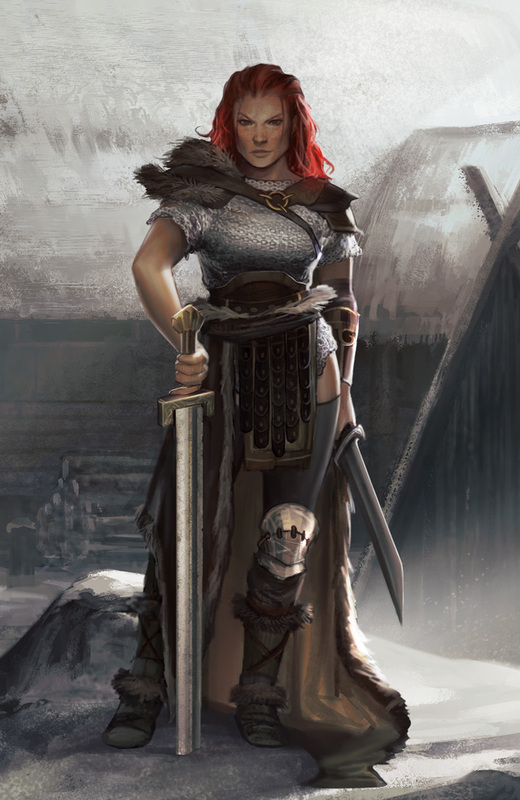 If Freya is slain in battle, you may slay an opposing Viking, without spending axes. Freya is woman of simple tastes, she likes slaying and she likes raiding, and if you play to her tastes, you’re going to make yourself known and feared. Her Cleave ability can be especially brutal, forcing your opponent to choose between losing Vikings and letting double axe results go unchecked. Freya’s Death condition makes her even more dangerous to deal with, often meaning players are forced to sacrifice their own hero to take Freya down. Freya’s a dangerous presence in the game, but players will need to bear in mind that Ragnaroll isn’t a game of attrition, it’s a game of survival. A strong offence will often require a weaker defence, so you’ll need to pick your moments, pouncing when you can reap the maximum rewards from your raids. If you put all your resources into raids and slaying your opponents’ warriors, you’ll quickly discover that glory alone can’t sustain you through the winter. Does the name Freya the Red put fear into your heart? Does she seem strong and powerful, perhaps even overpowered? Well, wait until you meet the rest of the line up! Next week, you’ll meet a new hero, who’s known by the trail of the dead.